This program is designed to provide those passionate about electronics with instruction in electrical science fundamentals. Covering core subjects such as mathematics, science and engineering fundamentals as well as specialised courses such as renewable energy systems, high voltage engineering, control system engineering and more – students will develop real-world electrical and electronics engineering skills that can be applied in the marketplace. 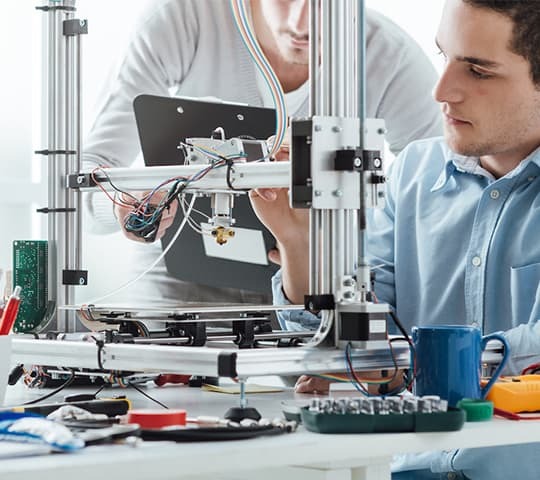 After graduating, students will be provided with the in-depth knowledge across the key areas of electrical engineering that cater to the ever-evolving needs of the dynamic world. Electrical and Electronics Engineering (EEE) is the study and application of electricity, electronics and other related subjects to real-world problems.Graduates of the Electrical and Electronics Engineering (EEE) program will be involved in disciplines that make our lives more interesting, effective and safe.